Accueil du site Master Suède The impact of the Chad-Cameroon pipeline project on small scale trade and livelihoods in Kribi. The impact of the Chad-Cameroon pipeline project on small scale trade and livelihoods in Kribi. 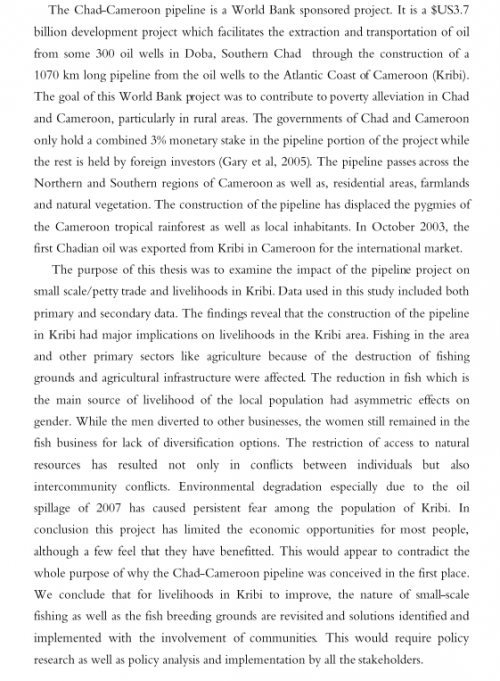 Titre : The impact of the Chad-Cameroon pipeline project on small scale trade and livelihoods in Kribi. The Impacts of Climate Change on River Flow and Riparian Vegetation in the Amu Darya River Delta, Central Asia.